Do you know what is Mail Merge? It is a technical term which describes the production of huge number of documents from single template form and from the structured data source as well. Mail merge is used to create bills, mailing labels, pre-addressed envelopes, personalized letters that's available from the database tables comprising of name and other fields. In order to mail merges these database tables, we will introduce a professional tool, which is PDFelement Pro, to help you solve issues on Mail Merge Excel Data to PDF. 1. One of the major drawbacks of using mail merge is your document easily prone to errors. The newer to the mail merge, will be having higher chances of errors. So avoid the chances of errors its very much important tom proof read your documents carefully. 2. Fields with the similar name always to errors which can't be easily identified. It's better to reevaluate the name that you are giving to the fields in order to avoid errors. 3. Issue in overlooking for the relevant information in the document. Pay more attention to the particular fields wherein you have inserted number of fields in series. 4. Issue with text applied to the mail merge fields. Even the most experienced user can commit errors in text formatting. It's quite easy to fix those problems. With well proof reading the document you can go through other errors as well. 5. Issue with identifying the proper spaces and punctuation in the document. By using mail merge files it's quite difficult to find the spaces and the punctuation that you have entered. Sometimes there may be chances of omitting double punctuation and spaces. So its best advised to carefully proof read the document thoroughly to overcome the above issue. One of the Mail Merge step is to create a fillable PDF, with the help of PDFelement ProPDFelement Pro , you can easily create a fillable PDF file. It is a reliable and professional PDF creator. Not only it can create PDF files from various formats, but also allows you to edit PDF text, image, watermark and links. 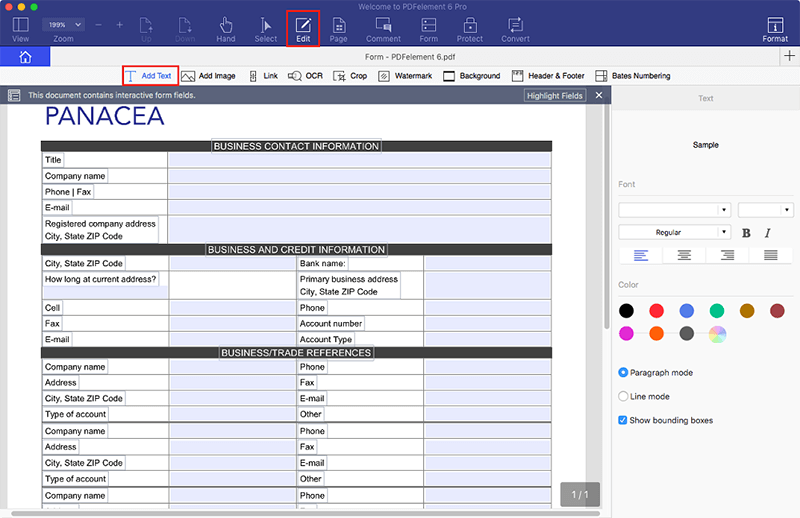 Install and launch the easy mail merge tool, click on "Form" button, you can build a fillable PDF form with various tools, such as add text field, check box, radio button and more. Besides, this software also provides you with many form templates, so you can choose the one you like and build the PDF form with just a few clicks. In most of the cases you might already have the data in excel from. If you are not having any such data in excel, create an Excel spreadsheet and make sure the first row comes with the name of the fields in the fillable PDF form. Then field the other rows. Now it's completely ready for mail merge PDF. With provided PDF form and the excel sheet that we had created in previous steps. 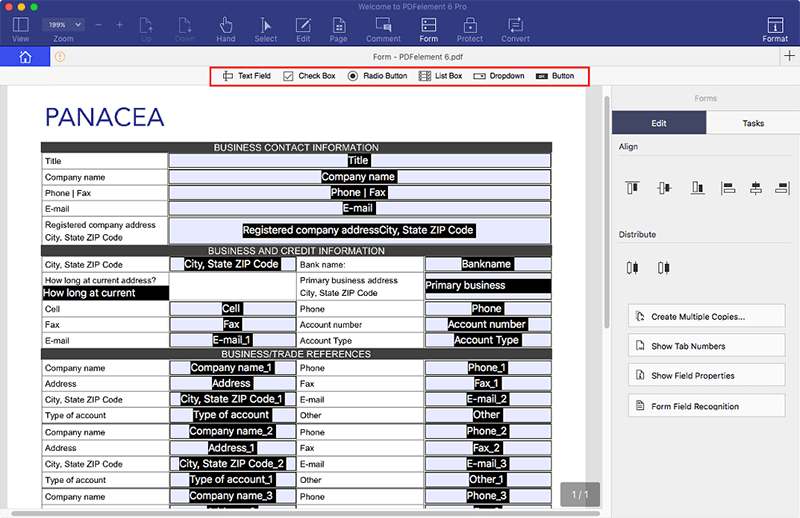 Now let's start filling PDF form with the data available from the excel sheet and create a new PDF document by making use of PDF form creator. 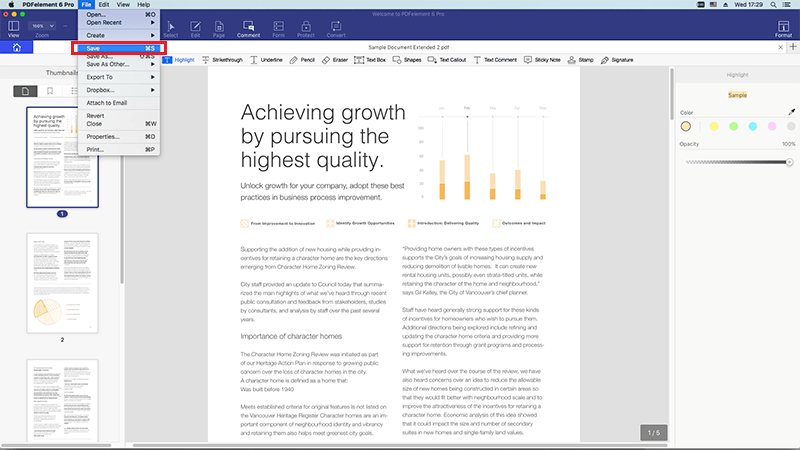 If necessary, you can edit or annotate your PDF before PDF to image conversion. To edit the texts and images, you can click the "Edit" button on the top toolbar and then make changes on your document. To edit pages like rotation, split, replace and more, you can click the "Pages" menu. Now specify a name to the output file and choose a destination to save it. Then start to mail merge to PDF.